When hail strikes in the Mid-West, Ohio is often among the damaged states. If your home or auto has suffered storm damage and you are looking for a local hail repair company to help, you are in the right place. 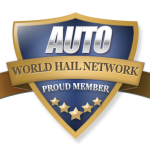 Select the Ohio Hail Repair company above and you will see all of their information as well as reviews and ratings. Using a local service provider, you are helping your community. You want the revenue to stay in the community and you want to make sure that the company is around after the storm has settled down.